Traditionally one of the big ‘knocks’ on Austrian skiing was that the resorts were in general a lot lower than their French and Swiss rivals. Most experienced skiers know enough to ignore that argument (you need a lot more snow to cover rocks than you do pasture). Certainly it is one of the best options if you are looking to get some decent runs outside of the main winter season. Can you ski in Austria in the summer? 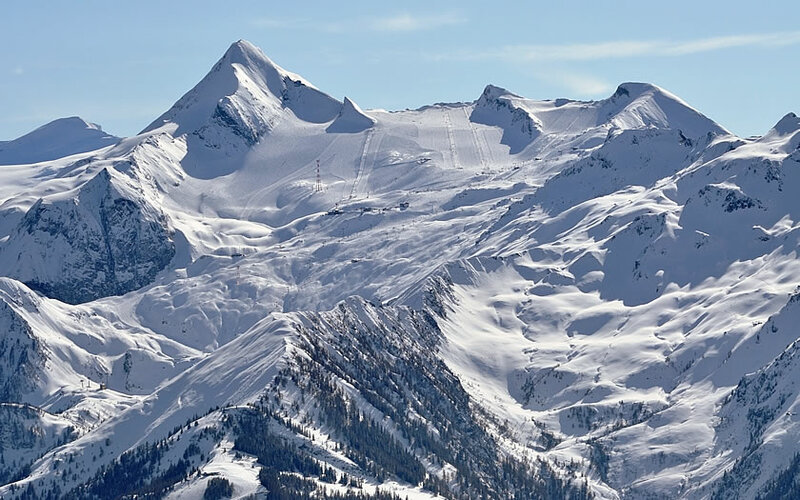 Austria is actually the country with some of the highest ski resorts in Europe and this is reflected in the opportunities for summer skiing in the country. Those who have tried glacier skiing in other countries (the USA and France spring to mind) will be amazed at how much terrain is open for skiing in the summer months. Glacier resorts are also not the gentle easy runs of popular belief – a few of the resorts below have runs which will give the legs a good work-out (see descriptions). The Pitztal slopes are a classic glacier ski area at the end of the long valley to the south of the main Inn valley in the Tyrol. The skiing is a good mix of red and blue runs but is only open from mid-September onwards (so really ‘late-summer’ skiing). Most accommodation is located further down the valley in the larger villages, so it would be worthwhile to have car transport for the summer skiing here. Sölden is one of the premier glacier resorts in the country located near the end of the Ötz valley. The skiing operates (weather permitting) from early September on one or other of two glaciers. This is where many national teams train for the upcoming World Cup season and where some ski instructor courses are held. The runs are fairly undemanding, although the altitude has an effect, but the views are stunning and the area normally opens the competitive season in Europe with a World Cup race in the autumn. The Stubai valley is one of the most convenient glacier areas being not far away from Innsbruck (and its airport). The Stubai glacier ski area doesn’t "do" spring closing – they normally close in June when the summer season is full in swing in the Stubai valley down below. They then open up again around mid-September to cater for the skiers getting itchy feet. The glacier area has some interesting terrain, although the challenging run down to the base station is only open in the winter months. This area is open all year round and is located high up in the mountains at the end of the Ziller valley (head to Mayrhofen, catch a right and then keep going as far as you can). For such an out-of-the-way area, the skiing can be stunningly good (and quite challenging). Accommodation is available in Tux itself or, as most prefer, in the larger and more sporty resort of Mayrhofen. The Kitzsteinhorn glacier is the only one on this list located outside the Tyrol – it is in the neighbouring province of Salzburg above the town of Kaprun. The glaciers above Kaprun actually stay open well into the summer, given good snow conditions. They will generally close some time in July and then open up again at the end of September for the autumn season. Other glacier summer ski areas not covered by this site are the Mölltal glacier in Carinthia, the Dachstein glacier in Styria and the Kaunertal glacier in the Tyrol. Please note that boundary and safety warnings should be strictly adhered to while glacier skiing.